You are here: Home / News / Developments / UX-1 robot on its way to the first trial! UX-1 robot on its way to the first trial! Exciting news ahead for the UNEXMIN project: the first UX-1 robot prototype has been shipped to Finland – in time for the preparations of the first UNEXMIN pilot trial in Kaatiala, Finland! After the extensive preparations in the last months, the first UX-1 prototype – UX-1a – has been sent to Finland, where the UNEXMIN team will get together to ultimate the first of four trials in the UNEXMIN project. The UX-1 robot has been mechanically assembled in Tampere (March), sent to Porto so the scientific instruments could be added into the robot, hardware and software parts were tested in a pool environment and now, finnaly sent back to Tampere to arrive in time for the Kaatiala test. Last Friday, 25th May, marked the last testing with the UX-1 robot before its shipment, everything being ready and working. The UNEXMIN team has made all the necessary testing and certified that the hardware and software parts that compose the UX-1a robot are all set-up. 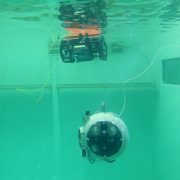 UX-1a testing on the INESC TEC’s pool on the 25th of May. 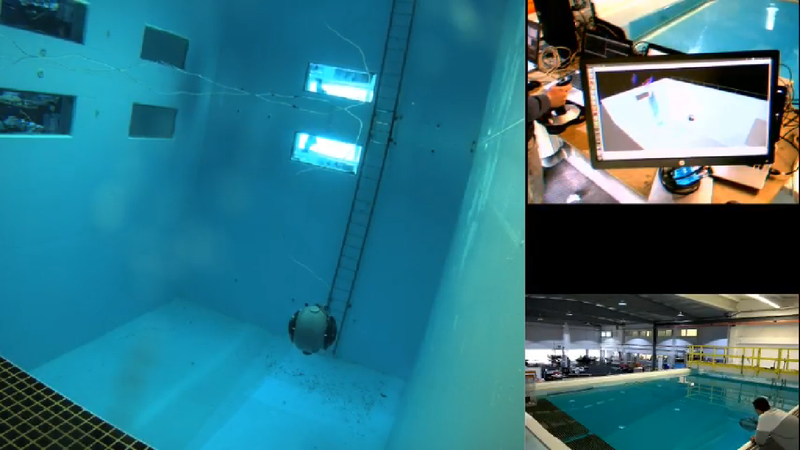 Left: Underwater camera view; Top right: Software view; Bottom right: Over the pool camera view. 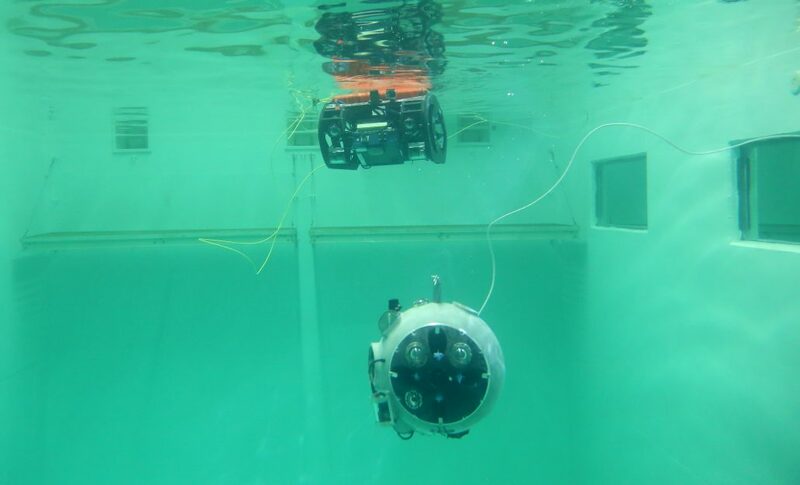 The first test site will represent a very simple trial, where the UNEXMIN team will experiment with the robot’s capabilities in the real working environment and upgrade the software, hardware and subsystems right on the spot. https://www.unexmin.eu/wp-content/uploads/2018/05/IMG_4995.jpg 1243 2048 Luis Lopes https://www.unexmin.eu/wp-content/uploads/2016/06/unexmin-alternative-logo-300x69.png Luis Lopes2018-05-29 08:36:422018-05-29 08:47:57UX-1 robot on its way to the first trial! The European Inventory of Flooded Mines is now online! The trials at the Katiaala mine have finally started!